Serotonin, a well-known neurotransmitter which has a significant role to play in mood disorders, migraine disorders, irritable bowel syndrome and pulmonary and systemic hypertension(1), is commonly associated with the brain, where it does most of its work. 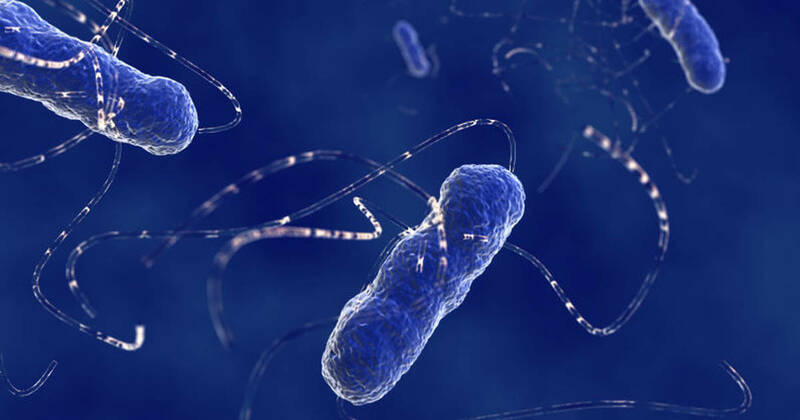 But new research indicates that specific bacteria in the gut are responsible for producing an estimated 90 percent of the body’s serotonin(2). Increasing numbers of studies using mice have demonstrated that changes in the microbes living in the gut can result in altered behaviours. Researchers are especially interested in the ways in which gut microbes communicate with the nervous system. Researchers focus on serotonin for a reason – in the brain, this chemical plays a significant role in the pathophysiology of depression, one of the most common mental illnesses plaguing many people worldwide(3). Much research has been done on how to manage serotonin levels in the human brain, with multiple classes of drugs available to do just that. 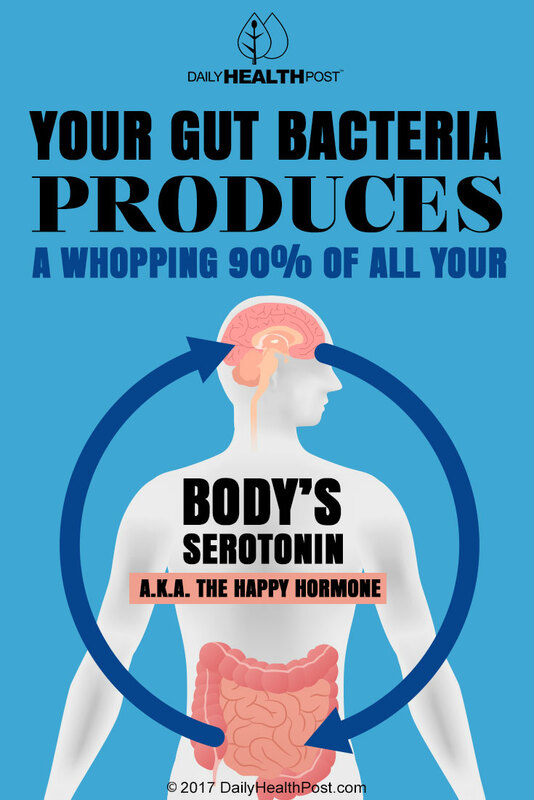 However, with so much of the chemical being manufactured in the gut, it’s only natural that serotonin would be a solid starting point for researchers looking to explore the ways our guts and brains are interconnected. Researchers on the new study measured peripheral serotonin levels in mice with small populations of gut bacteria, while simultaneously measuring and comparing peripheral serotonin levels in “germ-free” mice. The germ-free mice, they found, produced significantly less serotonin than the mice with more “normal” levels of gut bacteria. Not stopping there, researchers then recolonized the germ-free mice with normal gut microbes, which resulted in the mice’s serotonin levels rising again – showing that serotonin deficits may be reversed with specific types of gut bacteria. “Our work demonstrates that microbes normally present in the gut stimulate host intestinal cells to produce serotonin,” says Jessica Yano, first author on the paper and a research technician working with Hsiao.